to live a happy life. So you want to know the secret to being a Happy Kid? I'll tell you. Stop blaming. Think about how often you blame yourself, someone else or something for the cause of your unhappiness. We all blame! It's true. It's a human condition. It's the (unhappy) defense strategy that's been modeled for us since the beginning of time...well...since Adam & Eve. Thanks a lot Eve! Oops. There I go blaming Eve:-) But seriously, what would be different in your life if you were to stop seeing everything as a problem? You would no longer need someone to blame. Right? I'm not going to lie and or pretend that I see life through rose colored glasses 24 hours a day. No, I too find myself on that Unhappy Kid Triangle, off and on throughout the week. Here is the only difference between me now (in 2017) and me then (2010): I did not know that I did not have to believe every thought I think. I did not know that the only person responsible for my happiness, is ME. I did not have a personal relationship with God. I did not have the tools to; 1. question the unhappy story that I was projecting onto others; 2. see the situation at hand as an opportunity for growth, as opposed to seeing it as a problem that needed to be fixed; 3. removing blame; 4. making peace with Reality. 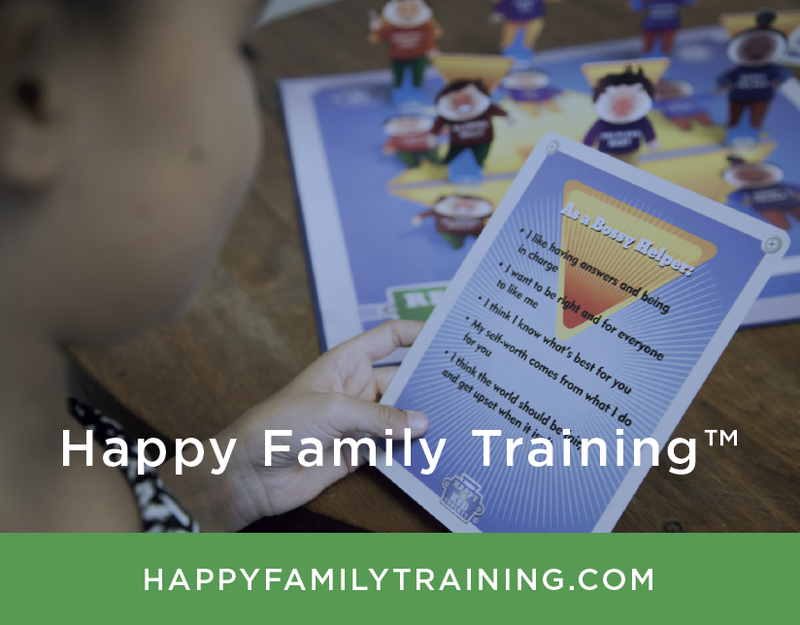 Imagine a generation of kids being raised with The Happy Kid Toolkit at home and in the classroom. 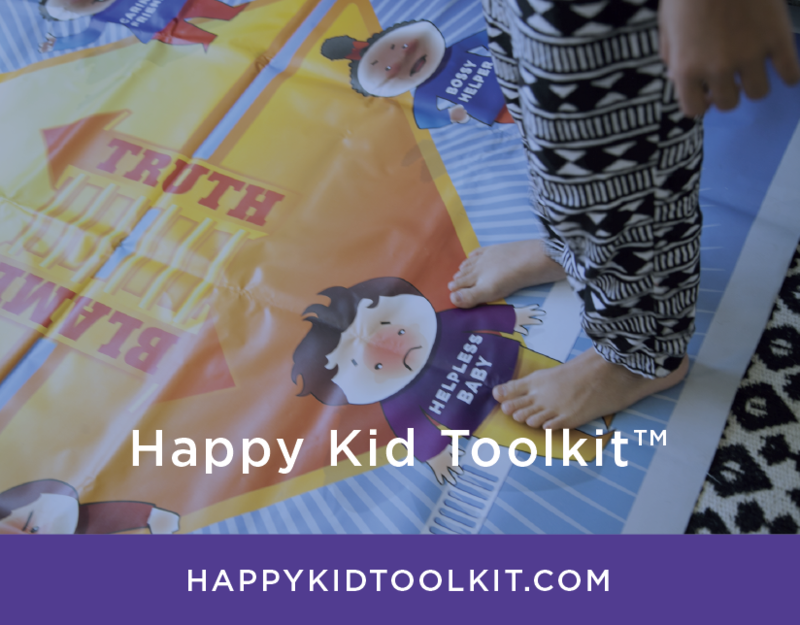 Happy Kid Toolkits are now available for pre-order. Toolkits arrive at our warehouse in less than 3 weeks. Are you ready to bring hope, peace and harmony back into your home, classroom or office?